Teachers everywhere are getting more and more excited about teaching soft skills in the classroom. The answers vary, depending on who you ask. Want the short answer? Check out the video below! Video: What Is a Soft Skills Curriculum? At AES, we’ve created a powerful answer to the question "How do you teach soft skills?" A digital curriculum — sometimes called “curriculum software” — is an online learning experience that walks students through a structured learning process that’s engaging, informative, and effective. It works for soft skills by teaching students about each skill, showing them how it looks in a scenario, and prompting them to attempt it themselves. Some of the learning takes place on a computer. The role-playing takes place in person. The combination of both creates an outstanding learning experience that sticks with your students for years — maybe even their whole lives! But why do you have to teach soft skills? Aren’t they instinctive? Aren’t they common sense in today’s fast-paced society? In fact, one of our own AES team members has a very personal and compelling story for why students need to learn soft skills early in their lives. 1. 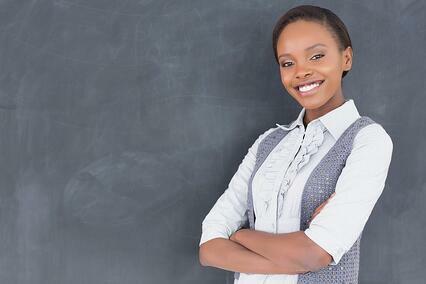 Why Should You Teach a Soft Skills Curriculum? Once upon a time, there was a college student who we’ll call Lexi for the sake of this story. Lexi had accomplished something that was impossible for her parents and grandparents. She made it to 21 years old without ever having a job. Sure, she had done under-the-table work like housesitting or watching families’ pets while they were on vacation. But she never got working papers at 14. She never set up a direct deposit system. She literally never got a paycheck in two decades. So when Lexi started looking for her first job at 21, it took time. She had no interview experience, which meant she had a hard time crossing that first big hurdle of getting a job. Actually, it took her a long while. Fortunately, after 10+ interviews, Lexi started getting her soft skill instincts. She learned through sheer experience (and failure) about the value of soft skills — how to talk in an interview, what to bring up in professional conversation, how to make a strong first impression, even how to make someone laugh. At the end of her arduous journey — it’s hard to deal with rejection after rejection — she finally landed her first real, taxable-income job. She became a server at a restaurant near her college campus. It’s worth noting that Lexi wasn’t a bad student in school. She learned easily enough, and she had an average time getting through her classes. She also joined extra-curriculars. She ran with a good crowd. Her teachers liked her. But she never tried to get a job in her teens. This kind of student life is becoming all too common, and many students share Lexi’s employment history today — more than you may expect. It’s partly because children, teens, and young adults have packed schedules that simply don’t allow for hours at a regular job. This is a big reason why teachers across the United States are looking for soft skills curriculum. If students can’t learn soft skills the way they used to learn — through sheer trial and error in their teens — then they’ll have to learn in the classroom. And the earlier they learn, the better. So what do you actually teach to make sure your students don’t have the same struggles that Lexi experienced? To answer that, we have to answer a larger question first. 2. What Is a Soft Skills Curriculum? A soft skills curriculum covers all of the essential, intangible skills that students need to get (and succeed in) a job. There are more soft skills than we listed above. In fact, depending on who you ask, you could add just about anything to this list that’s not directly taught in a classroom today. When you build a soft skills curriculum, it’s crucial that it includes these fundamental criteria of someone’s professional life. That includes concepts like communication, professionalism, job seeking skills, and more. But a good soft skills curriculum also embraces differentiated instruction, empowering you to teach students in a variety of ways and with a variety of tools. So you can lecture for a while in front of your class, but it’s also important to include some role-playing, cooperative learning, projects, and a range of assessments. This way, you can teach the students who normally learn well from lecture, but you can also reach students who learn best with hands-on learning and other strategies. After all, very few people learn purely through listening. When you get students up, moving, engaged, and talking, you give them a much better chance of learning, retaining, and succeeding in the future. So that leaves one last big question to answer. Where do you find soft skills curriculum? 3. Where Do You Find Soft Skills Curriculum? A soft skills curriculum is a specific series of lessons and assessments that helps students learn. That means it’s more than just finding one or two lesson plans. It’s more than giving them a fill-in-the-blank test. A soft skills curriculum fits right in your syllabus and provides a comprehensive overview of what you’ll teach for that unit — even if it lasts a whole marking period! With that in mind, we’re not talking about finding soft skills lesson plans here. We’re talking about a full-fledged, fully-capable curriculum that fits your classroom and serves your students. That’s why we have to recommend the digital curriculum we made specifically to teach soft skills — Business&ITCenter21. Before you say anything, yes, we’re biased. But we’re not just plugging a product here. Our team of curriculum designers hand-crafted Business&ITCenter21 to work for just about every student, regardless of how they learn best. So when it comes to soft skills, you’ve already done a big chunk of the work just by bringing Business&ITCenter21 into the classroom. On top of that, you get some other neat features that slash the time you have to spend planning and grading. Planning is as easy as a drag-and-drop function, and grading is 100% automatic. This — among other reasons — is why we typically show Business&ITCenter21 to teachers who want to use a soft skills curriculum. We know what’s in it. We know our community of teachers has gotten great results with it. And we believe you can do the same! But you don’t have to take our word for it. You can read a real teacher’s testimonial right now. 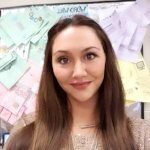 Kelsey Kemp teaches in Osceola County, Florida. She found Business&ITCenter21 because her school is pushing college and career readiness — which includes a big focus on soft skills! She even got the nice benefit of teaching other employability skills beyond soft skills, like web research and career development. Just think — if Lexi had been in one of Kelsey’s classes, maybe Lexi could’ve gotten the first or second job she wanted instead of the 11th. Want to read Kelsey’s story for yourself? Check out her case study!